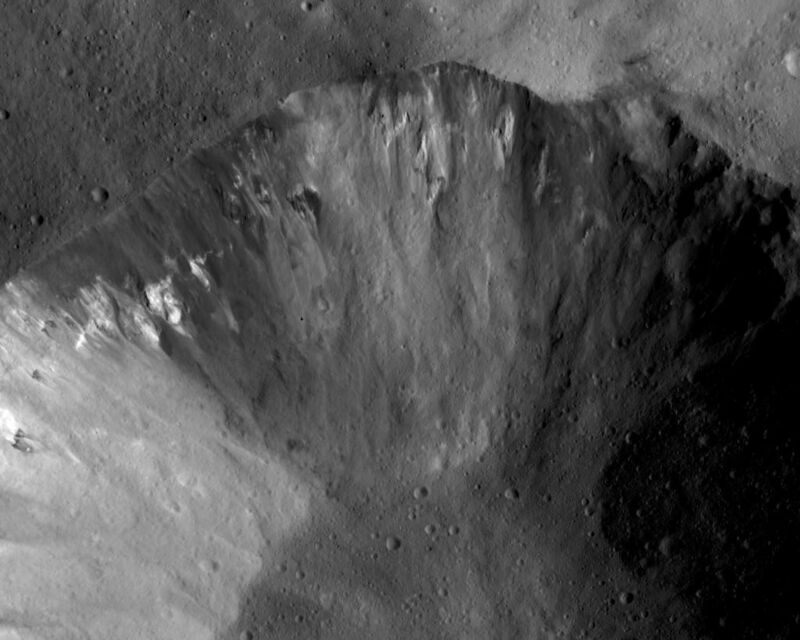 This Dawn framing camera (FC) image of Vesta shows part of a large crater that has an irregularly shaped, fresh rim. 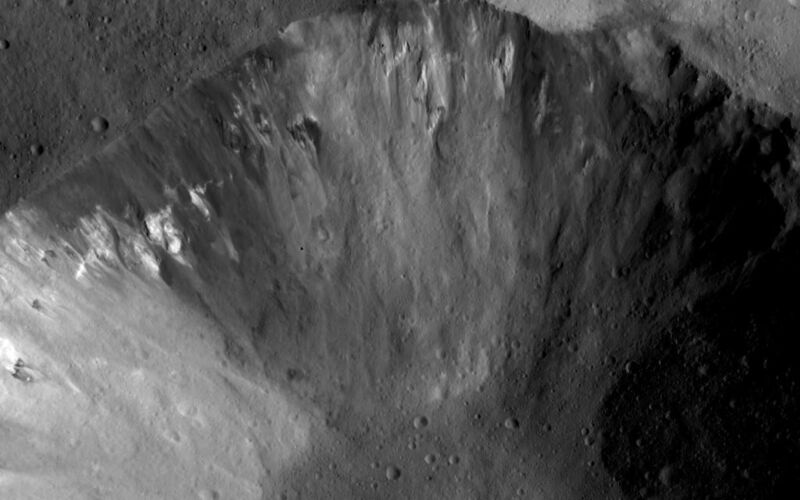 This crater is also distinctive because it has many outcrops of dark and bright material originating from its rim and from the interior slope of the crater. 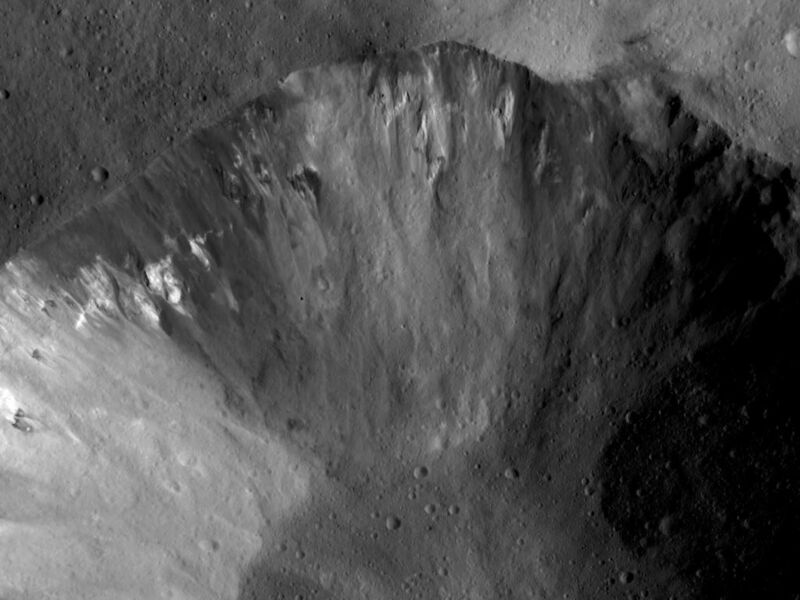 This bright and dark material then slumps down towards the center of the crater along the crater walls. These slumps of dark and bright material extend for up to 4 kilometers (2.5 miles). The interior sides of this crater are dominated by the dark and bright material and have a mottled appearance. In contrast, the floor of this crater is more uniform in brightness and looks much less mottled. This image is located in Vesta's Numisia quadrangle, a few degrees south of the vestan equator. NASA's Dawn spacecraft obtained this image with its framing camera on Jan. 24, 2012. This image was taken through the camera's clear filter. 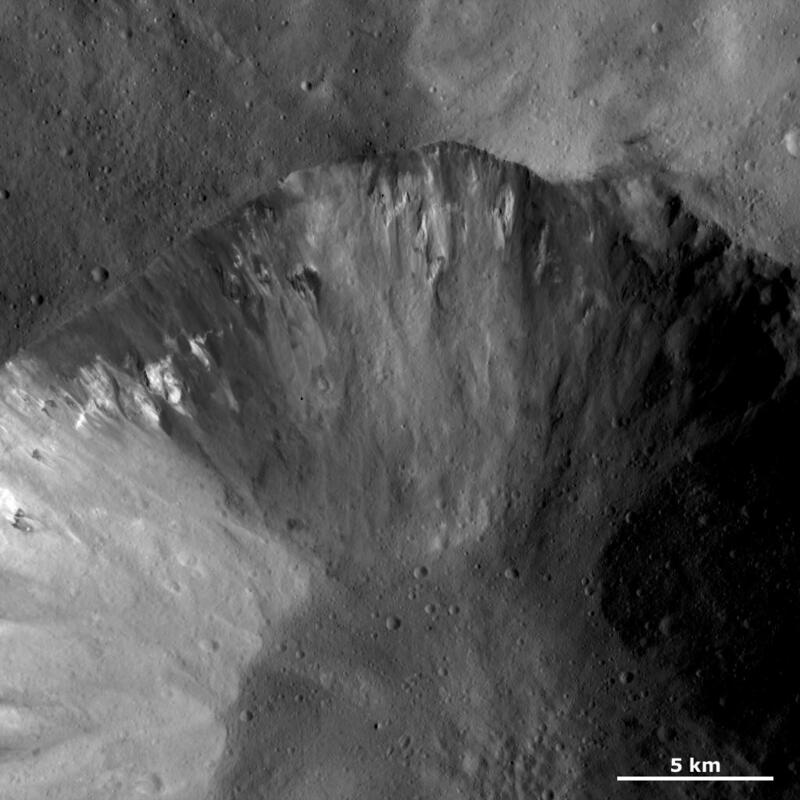 The distance to the surface of Vesta is 272 kilometers (169 miles) and the image has a resolution of about 25 meters (82 feet) per pixel. This image was acquired during the LAMO (low-altitude mapping orbit) phase of the mission.